I’ve been a big fan of STARSKIN for a very long time. Today I will talk about one of their newest product named 7-Second Overnight Mask. This name may sound familiar because I wrote a review about their 7-Second Morning Mask not that long ago. You may see the difference, this one is before going to bed and the other one when you wake up. 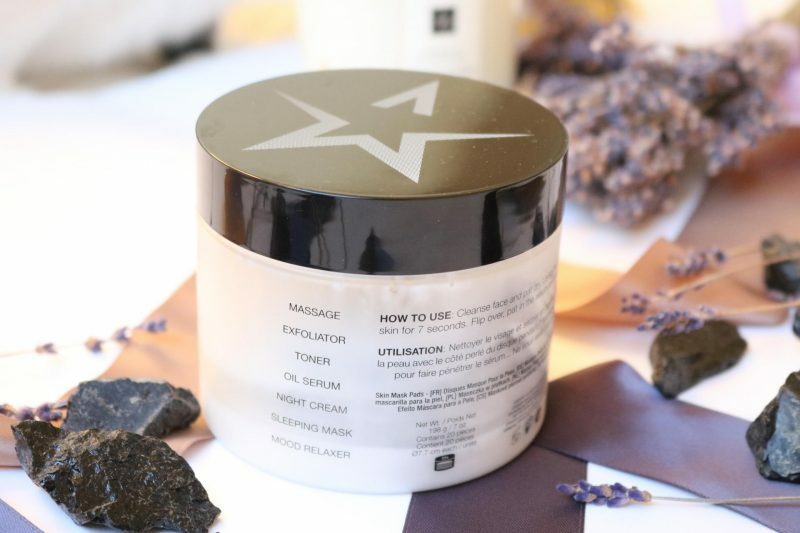 For me it was really excited to discover which one performs better and have better results on my skin. 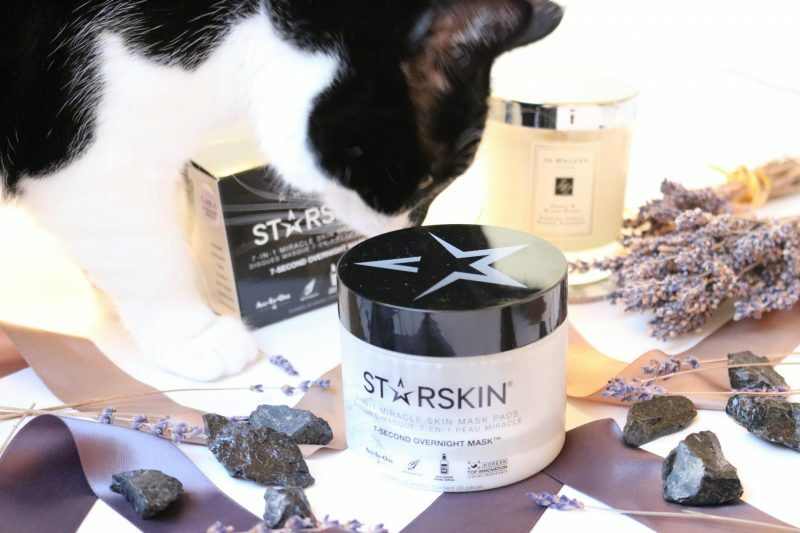 That is going to be a difficult task I think, because there is no Starskin product I don’t like (read here all my other Starskin reviews 1–2–3)! Let’s get started! 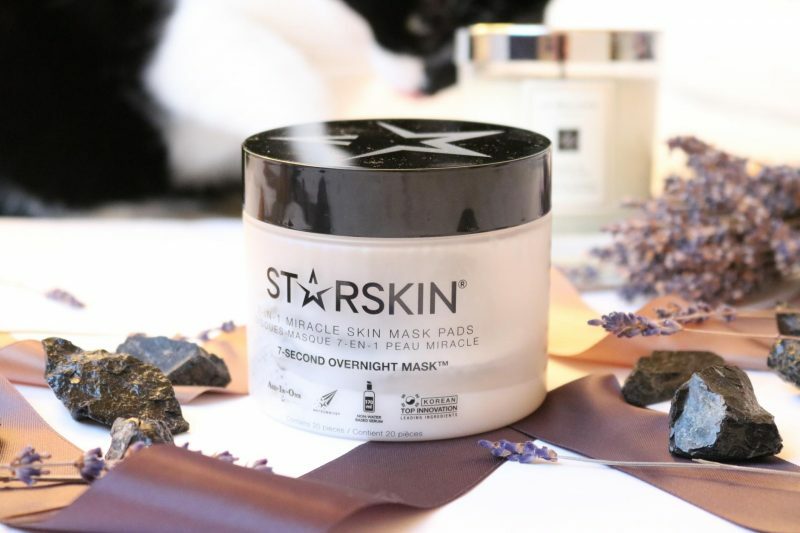 Luxurious non-water based pads which provide a nourishing seven step skincare routine. 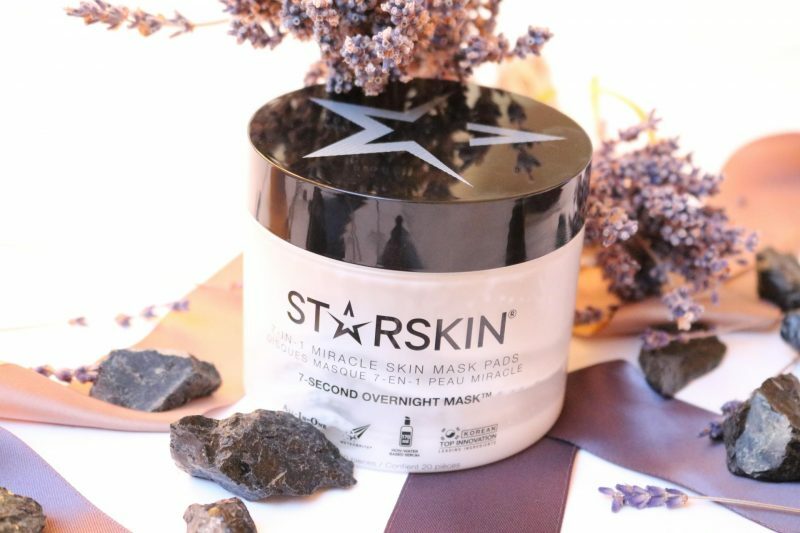 Inspired by the Koreans’ infamous multi step skincare routines, the 7 Second Overnight Mask comes with 20 single use dual sided pads, soaked with powerful White Water Lily and Queen Of The Night extracts which are designed to transform your skin whilst you sleep – ensuring you wake to visibly softer, suppler and more luminous looking skin. Nymphaea Alba Flower Extract, Cestrum Nocturnum Branch/Flower/Leaf Water, Butylene Glycol, Glycerin, 1,2-Hexanediol, Butylene Glycol Dicaprylate/Dicaprate, Chamomilla Recutita (Matricaria) Flower Extract, Hydrogenated Polydecene, C14-22 Alcohols, Water (Aqua), Ethylhexyl Isononanoate, Betaine, Acer Saccharum (Sugar Maple) Extract, Portulaca Oleracea Extract, Castanea Crenata (Chestnut) Shell Extract, Hydroxy Ethylacrylate/ Sodium Acryloyldimethyl Taurate Copolymer, Camellia Japonica Seed Oil, C12-20 Alkyl Glucoside, Meteorite Extract, Chenopodium Album Flower Extract, Plantago Asiatica Extract, Rehmannia Glutinosa Root Extract, Sodium Hyaluronate, Glycine, Fragrance (Parfum), Serine, Sodium Pca, Sodium Lactate, Arginine, Glutamic Acid, Aspartic Acid, Lecithin, Hydroxyethyl Urea, Hydrogenated Lecithin, Panthenol, Leucine, Alanine, Valine, Linalool, Lysine, Tocopheryl Acetate, Pca, Caprylyl Glycol, Phenylalanine, Tyrosine, Threonine, Proline, Isoleucine, Dipotassium Glycyrrhizate, Limonene, Histidine, Niacinamide, Methionine, Cysteine, Biotin, Folic Acid, Ascorbic Acid, Retinyl Palmitate, Ceramide 3, Triethanolamine, Glyceryl Linoleate, Glyceryl Linolenate, Glyceryl Arachidonate. 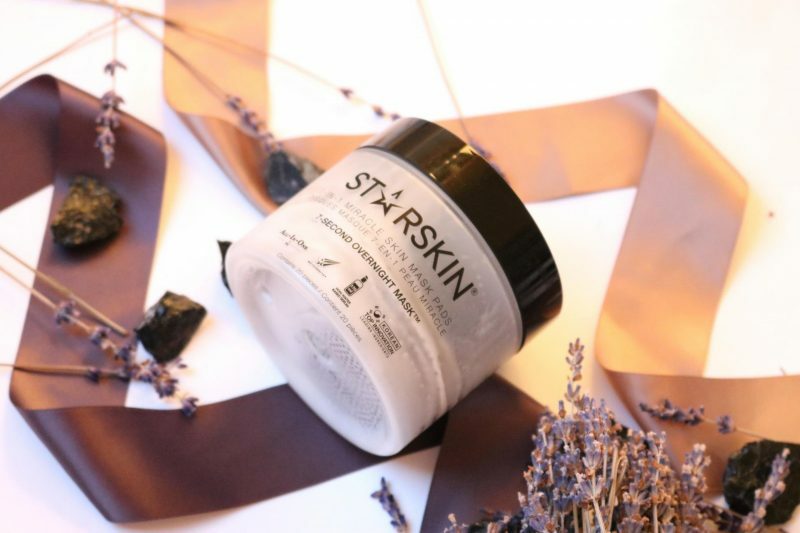 As I said before Starskin quickly became one of my favorite beauty brands. 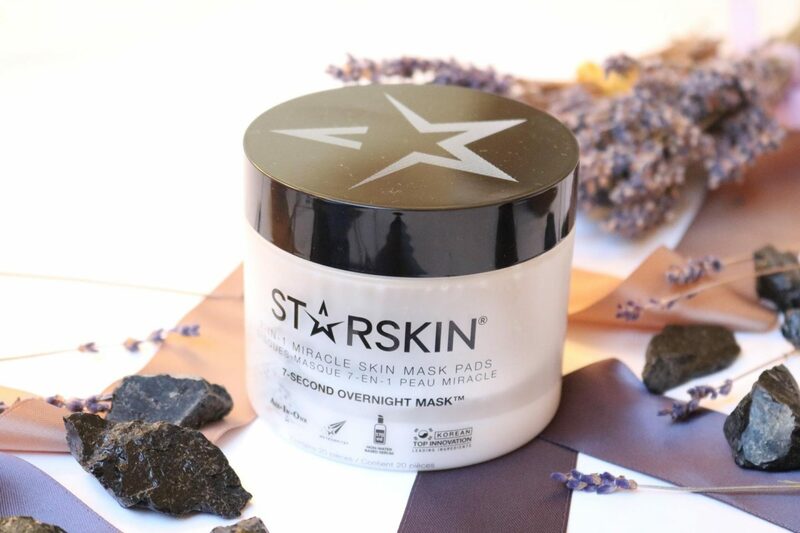 It all started with their oh so famous bio-cellulose second skin masks which are so thin that it doesn’t look you are wearing a sheet mask. This mask felt like a second skin and created the best results I’ve ever seen with a sheetmask. It is just a high developed brand that nothing doesn’t impress me. After the face sheet masks I tried their lips masks, lace mask, hand masks and so on! There is nothing I didn’t try from them. Now you know that I’m a big fan of them you may will think: ohhh but she will give a good review about this product without even trying it out! Oh no, I’m honest, sceptical, directly and sometimes even mean. I know what I like or not. 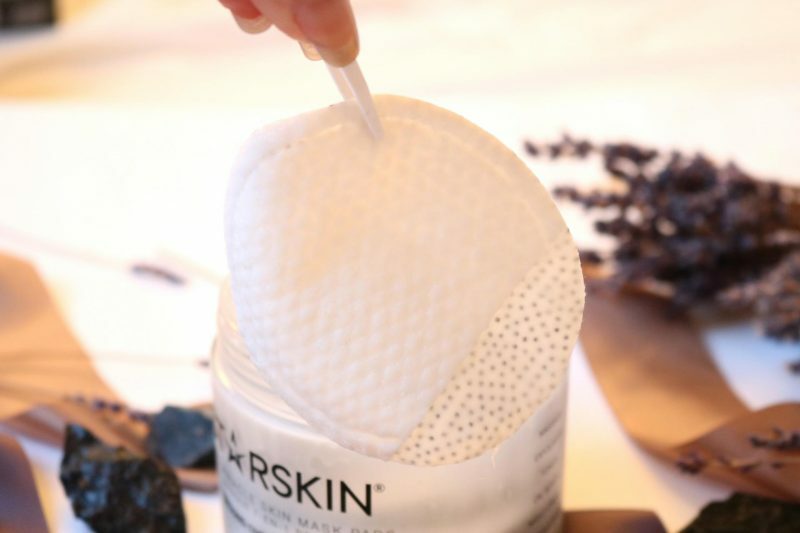 It is very easy: a pad to use before going to bed that has all the Korean skincare steps you need! Sounds almost impossible, but that’s why I’m here. 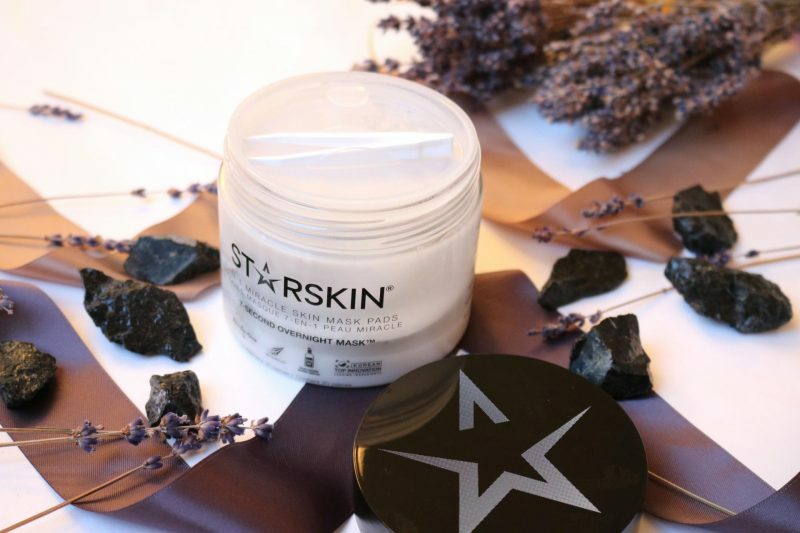 Starskin claims that it will work as a massage, exfoliate, toner, oil serum, night cream, sleeping mask and mood relaxer. Like I said in my 7-Second Morning Mask review it is a lot for one little face pad. For now this sounds too good to be true, a pad that offers almost everything for your night routine. When you open the lid you will find a tweezer so you can easily pick up the pads out of the jar. The pads are really soaking wet and something it can be really non hygienic when you grab the pads with your fingers. 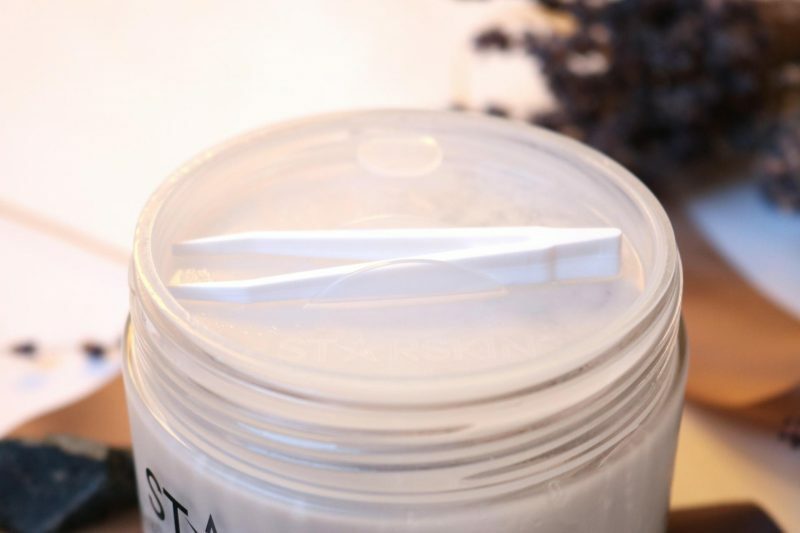 So if you are just started to get into the skincare, always mind that scooping out moisturizer or anything else from a jar has to be done with a scoop or a tweezer. Just never touch it with your hands unless you just washed them. Oehhh, when you open the lid this fresh scent will escape. That kind of scent that smells neutral and I think everyone will agree on this. You can find 20 pads in one jar. Each pad is soaked in the special serum and can be only used one time. 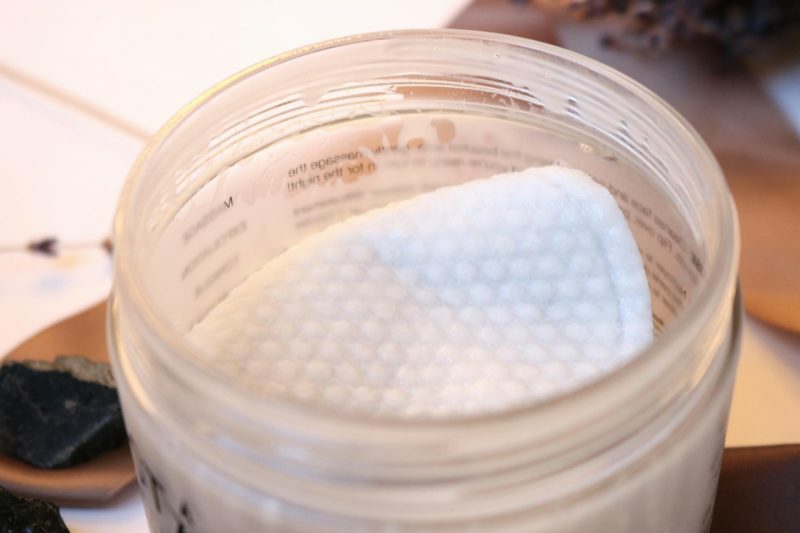 TIP: shake the jar a few times before you open it so the pads are evenly soaked with the serum. The first time I used the pad it was soaking wet and it looked like my pad took all the serum away from the other pads. Side 1: this side is covered with rubbery dots which creates a soft massage feeling. Side 2: a soft side so you can finish the treatment and even out the serum on the skin (I also like to ‘padpad’ my skin with these pads so the serum can really get into the skin). Okay, everything looks so innovative and great but how does it work on my skin? Like I told you before the first thing I forgot to do was shaking the jar a few times. 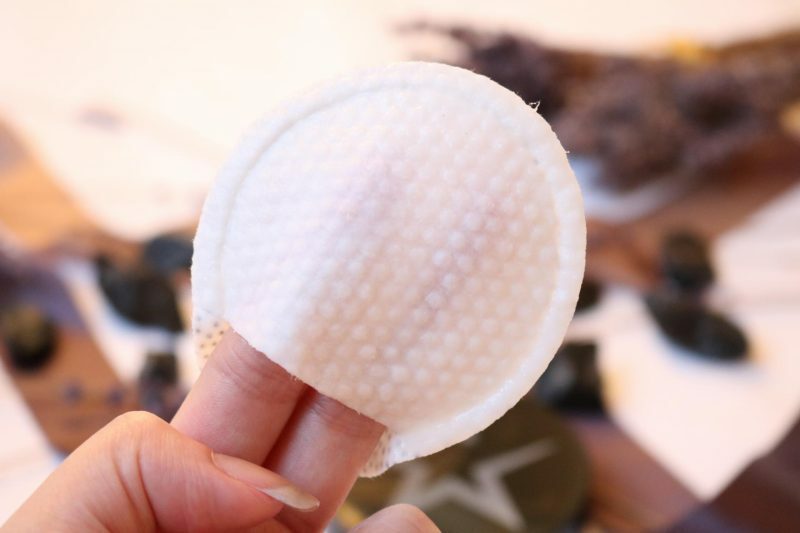 This will help to spread the serum evenly to all the pads so you won’t end up with one soaking wet pad. The pads have a great part to put your fingers in it to have a steady grip. Let’s start with the rubbery side with all the dots. The dots give me skin this feeling like I have a soft massage/peeling/exfoliating treatment. It doesn’t feel harsh at all, it makes me feel relaxed and calm. I make circular motions with the pad by starting with my cheeks, then forehead and then the sides of my face. This step only takes 7 second (like the name of the product) but I couldn’t stop when I was doing my skin. I think I did this massage for like 30 seconds because it felt soooo great the rubbery side! Than I turned around the pad to the softer side. Now I start to make this tok tok movement on my skin with the pad so the serum get’s really into the skin and can absorb. The last thing I so is making a swiping motion through my whole face to get rid of the excess serum and then we are done! When I use the pad I don’t use any other product before I go to bed: I wash my face, apply the pad and that’s it. Do fasten the progress I rub the serum in with my hands to make it less sticky before I lay in my bed. Even an hour later after I applied the pad my skin feels still a bit moist and sticky. 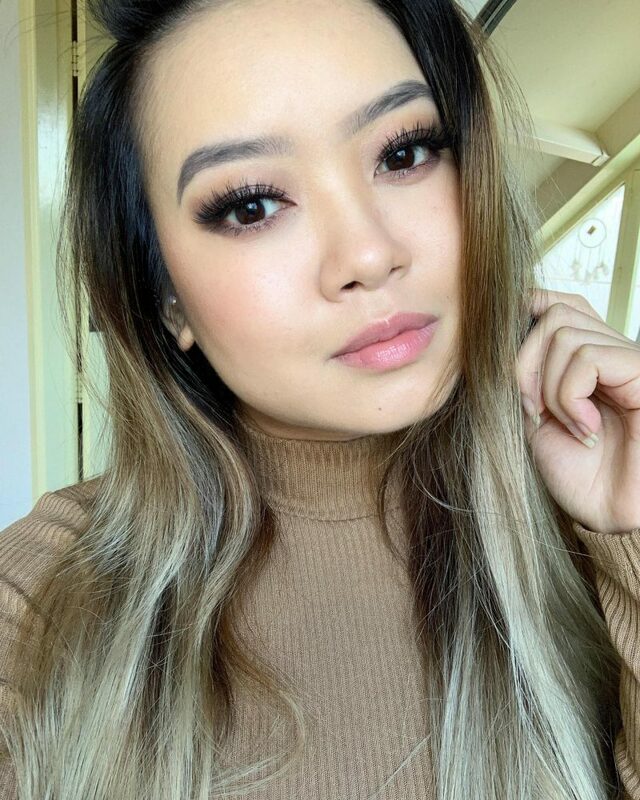 When I wake up I forget the sticky weird feeling I had before I went to bed, because my skin feels and looks so amazing during the morning! It was all worth it. I can instantly see how even and radiant my skin looks like (even after te first try out). My skin feels super moist and even and doesn’t have dry spots. Usually when I use an overnight mask I still have some spots on my neck and under my eyes that still have lack of moist, but with the 7 Second Overnight Mask I don’t experience this anymore. First I tried the 7 Second Morning Mask and now the 7 Second Overnight Mask and I must say they both are great products but it I had to pick one it would be the Overnight! Why? Because I can sometimes be a lazy girl and this Overnight Mask is just perfect when you are tired during the evening but don’t have time to do a whole routine. This will save you time so you can sleep longer (yaaas). 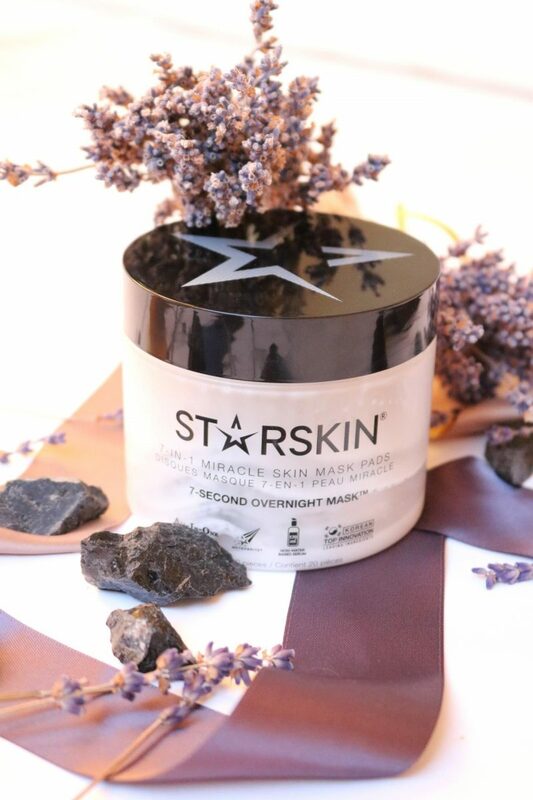 The 7 Second Overnight Mask will give your skin such a boost during your sleep. I think this will work for everyone and every skin type. Even my super oily skin loved this and it didn’t make my skin more oily during the day. What I’m most excited about is that it really changed the texture of my skin: it became instantly so smooth! Again Starskin, you never disappoint me! You can get your own 7-Second Overnight Mask at Douglas for €35,40 or at BeautyBay.com. Lovely review and photo as always ! 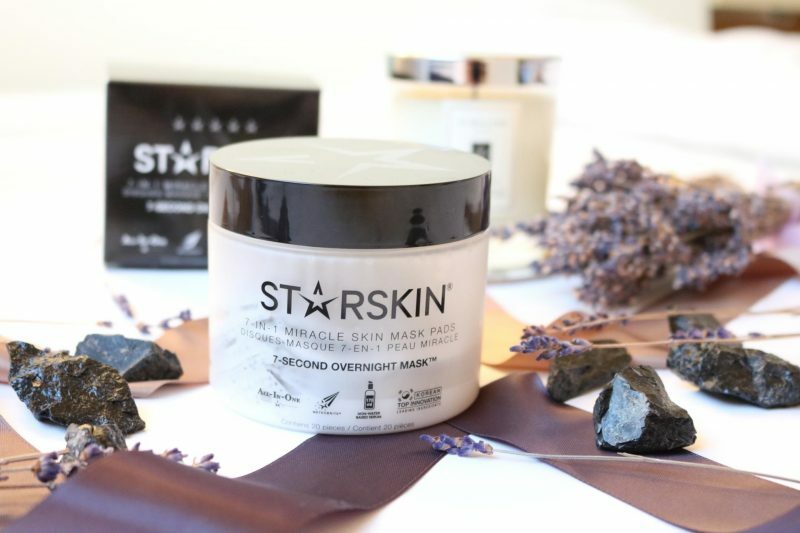 I love Starskin too and never try this one ! Sure I will ! Thanks dear! These pads are a life changing product, it saves so much time!